My Old Man and the Mountain is Leif Whittaker's engaging and humorous story of what it was like to "grow up Whittaker"--the youngest son of Jim Whittaker and Dianne Roberts, in an extended family of accomplished climbers. He shares glimpses of his upbringing and how the pressure to climb started early on. Readers learn of his first adventures with family in the Olympic Mountains and on Mount Rainier; his close yet at times competitive relationship with his brother Joss; his battle with a serious back injury; and his efforts to stand apart from his father's legacy. With wry honesty he depicts being a recent college grad, still living in his parents' home and trying to find a purpose in life--digging ditches, building houses, selling t-shirts to tourists--until a chance encounter leads to the opportunity to climb Everest, just like his father did. 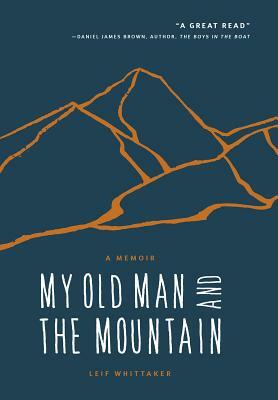 Read about My Old Man and the Mountain at Peninsula Daily News here.